Jeep has been creating SUVs for decades, and they’ve done an excellent job at it. Today’s new Jeep SUVs still hold on to the same high-quality features, off-road potential, and downright style that the manufacturer is known for. The Jeep Wrangler is still one of Fairfield’s favorites with its 33-inch tires, three 4x4 systems, and advanced safety and security features you can always depend on. The Jeep Grand Cherokee is a must-have for those families looking for excitement, and it brings luxurious leather trim, quick movement, and a combination of rugged and refined charm you’ll certainly love. The Jeep Cherokee offers premium leather-trimmed interiors, Uconnect 3C navigation system, and so much more for an exciting Westport ride. The Jeep Compass comes with heated leather seats, two-tone black roof, and plenty of safety features. The Jeep Renegade is the smallest of the SUV lineup, it still pushes the boundaries with a 2.4L Tigershark® MultiAir® 2 engine and 4x4 capabilities. 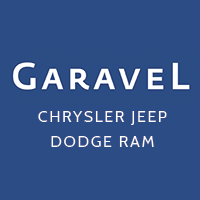 When you’re looking for a Jeep SUV, check out the lineup at Garavel Chrysler Jeep Dodge Ram located at 300 Westport Avenue in Norwalk, CT. Contact us today at 203-663-3981 to schedule your test drive today.